What Permissions do Editors Have in WordPress? 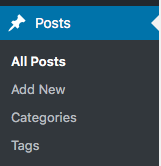 The “Editors” role is one of 5 default user roles in WordPress, alongside “Subscriber“, “Contributor“, “Author“, and “Administrator”. Editors have a great deal of permissions when it comes to the content on your site. This role is designed to allow users to manage your content. They can publish, edit and delete any content on your site. However, they are normally not allowed to change any settings on your site. There are almost no limits on what Editors can do with WordPress posts and pages. They can create, publish, edit and delete the posts of any user, including Administrators. They also have those same permissions for Categories and Tags. In short, be careful who you place in the “Editor” role, because these users have a lot of power. This next image shows a chart taken from the WordPress Explained book which shows how Editors fit in alongside other WordPress user roles. Can You Change the Editor Permissions? Yes, you can give the Editor more permissions than they have with a default WordPress installation. The Capability Managers Enhanced plugin is an excellent way to view and change the permissions for each user role. 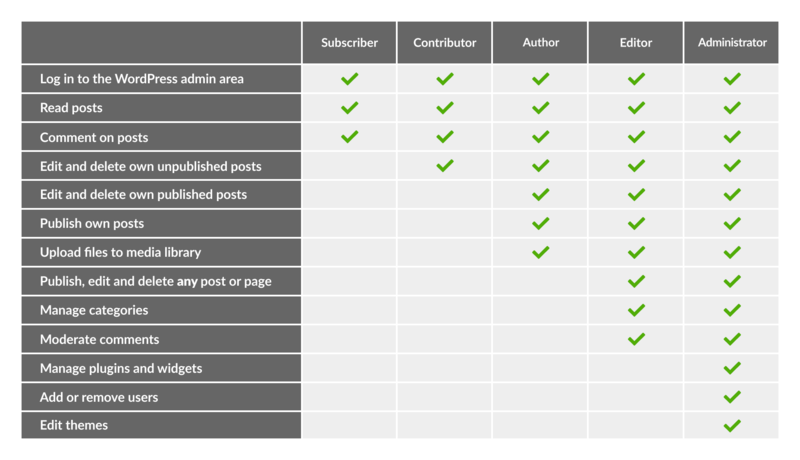 This next image shows the permissions available to Editors for Posts and Pages, inside Capability Manager Enhanced. The Editor has full permissions over all the content on your site, except for Categories and Tags. If you want to change any of the permissions for Editors, placed a checkmark in the boxes above. How Does PublishPress Work With Editors? 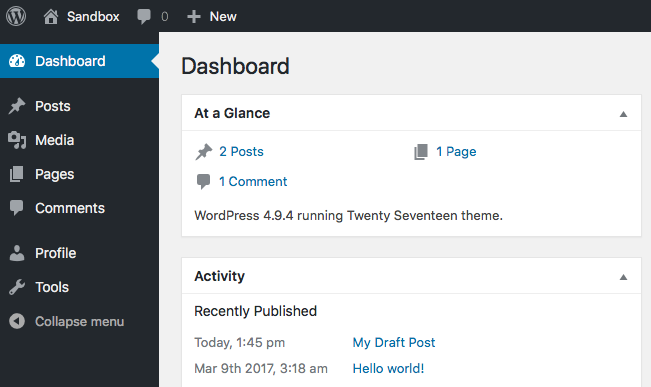 PublishPress has a ton of different features available to improve the experience for WordPress users. The key to everything for Editors is the Permissions Add-on. This allows you to increase the permissions for the Editors so they have more control over your publishing workflows. You can create publishing workflows for Editors, including automatic notifications. You can set up a pre-publishing checklist so Editors know exactly what to include in each post. Click here to see Editors permissions for PublishPress screens. What permissions do Subscribers have in WordPress? What permissions do Contributors have in WordPress? What permissions do Authors have in WordPress? By default, are Editors not allowed to switch Administrator-published posts to Draft or Pending? Hi Paul. Editors can edit the posts of any other user, including Administrators. I’ve just added two editors to my WP blog, but anytime they come back to their posts for editing, they can’t have acces to it. I’ve installed the user role editor plug-in and set-up their parameters, but nothing has changed.